Last week the Upper Grades class wrapped up our local geography block with a deeper look into the first people of Georgia and how the regions and resources have impacted how humans have lived since first arriving in Georgia. 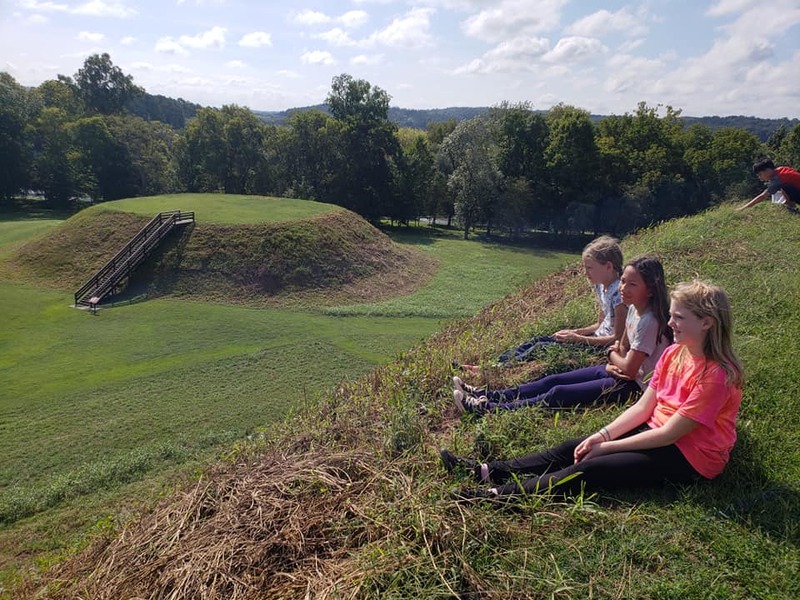 Our field trips to the Etowah Indian Mounds and New Echota helped strengthen our understanding of the Mississippian and late Cherokee people. We will continue to dig into the way our local land and natural resources have given rise to industry and development throughout history in our practice periods over the next few weeks. Our field trip to Driftwood Education Center in October will weave in more of the geography, industry, and native culture of coastal Georgia and the barrier islands. It was wonderful to spend time with your children these past few weeks! Thank you, Ki Molly, for helping us expand into our region on all levels! This week we will focus on math, and next week is our break. The day we return, October 1, we will have an early morning start as we begin our journey to St. Simons Isalnd’s Driftwood Education Center! More details are coming.